A 9pm watershed for ads featuring products with high sugar, salt or fat content is expected to be included in Labour's general election manifesto. The idea will feature in a Labour blueprint to improve public health, which is due to be published next week. 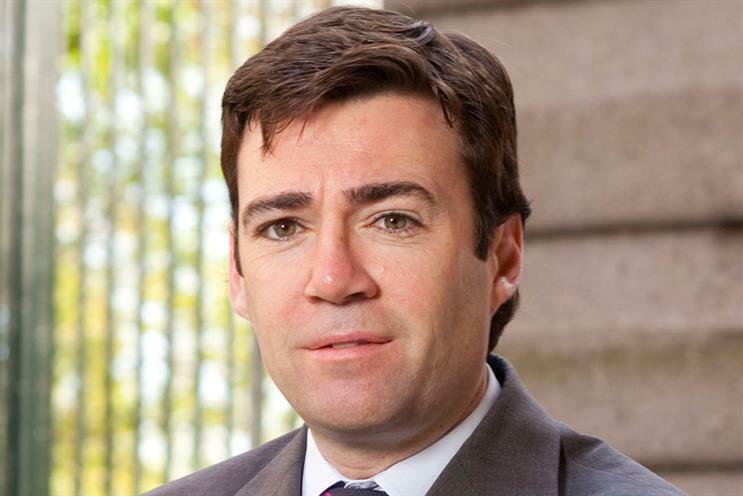 Andy Burnham, the Shadow Health Secretary, and Luciana Berger, the party’s spokeswoman on public health, believe the ban on showing junk-food ads during children’s programmes is not enough because many children watch family shows or those aimed at adults, which are not covered. Labour will argue that the cost of obesity to the NHS dwarfs the benefit to TV companies from ad revenue. However, the party is expected to reject demands for curbs on the sponsorship of sport by alcohol companies. Ian Barber, the communications director at the Advertising Association, said: "Sadly, floating ad bans in an election year is par for the course."